Packing up the baby essentials and taking the baby to the beach for vacation (what vacation?) is a challenge. Bringing enough to keep you and the baby comfortable, but not too much that the car is packed to the brim, is a delicate balance. 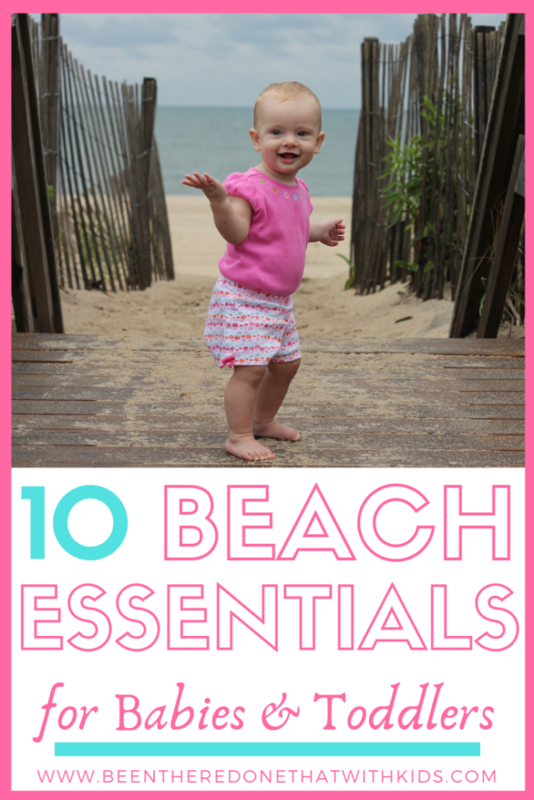 To help you with this process, here is a list of some important items for a fun, family beach trip. Pop-up shelter for the beach – We love those collapsible sun shades. They can help keep everyone out of those hot sun rays. Be sure to practice folding it and unfolding it several times before hitting the beach. Then, you’ll look like a seasoned pro when you’re packing it up in front of dozens of beach goers. Baby-friendly sunscreen – Make sure it’s safe for your child’s age. Inflatable baby pool (to take on the beach for water play with baby) – When my kids were too young to play in the waves, we’d inflate a baby pool and let them splash in a little bit of water. 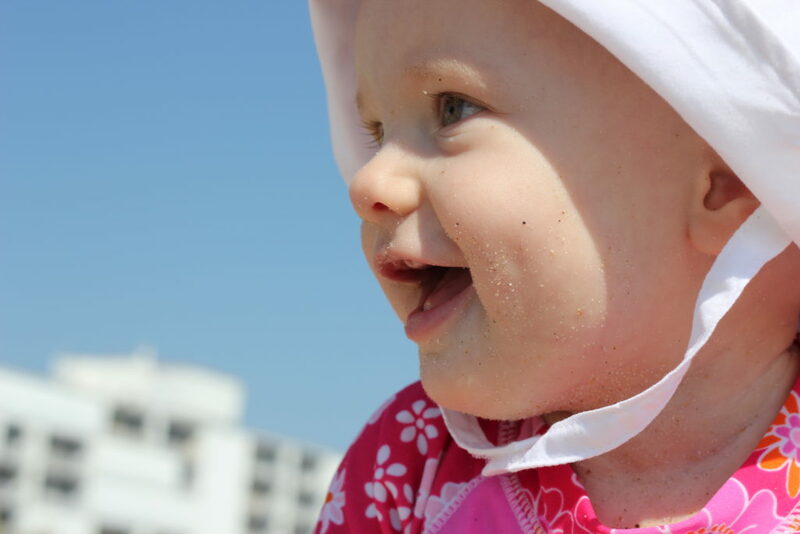 Baby hat – Hats with a wide brim can help shade their faces and to protect bald heads from the sun. I’d often forget this when my babies were young. 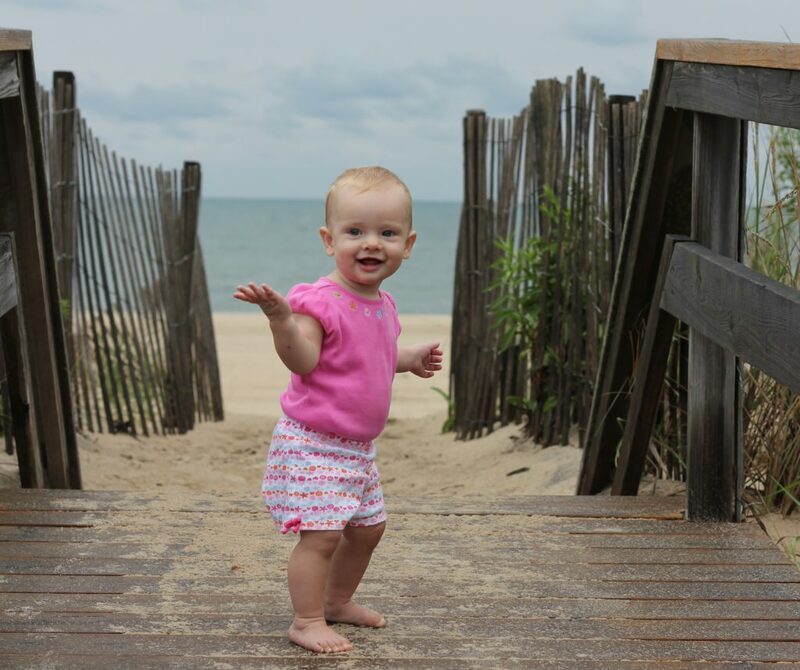 Swim diapers – A must-have for beach hotel pools and the ocean. Beach toys – My kids love playing in the sand, and it can keep them busy for hours. Be sure to include a fun shaped sand castle pail and a bucket to fill with water time and time again. 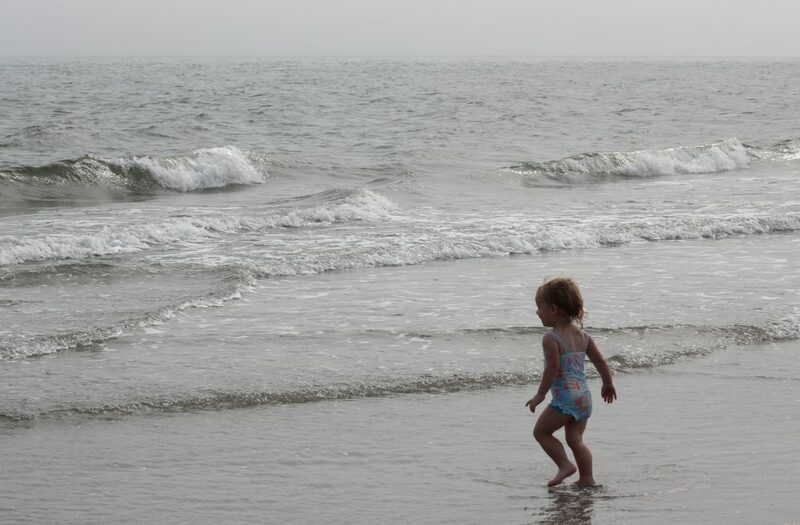 Water shoes – The sand can get quite hot in the midst of the summer, so protect their little feet from the heat with a good pair of water shoes. Ones with good grips on the bottom can help them stay upright in the waves, too. Outdoor blanket – We love our J.J. Cole foldable outdoor water proof blanket, and we use it to be a barrier between our towels and the sand. When it’s folded, it even has a carrying strap to make it easy to sling over your shoulder. Large beach bag – We actually take at least two of these, in addition to a mesh one that holds the sand toys. One bag is later used for wet swim suits and towels. Then, contents can easily be dumped into the washing machine when we return home. Snacks, snacks, and more snacks – Aim for bit-sized snacks that are easy for little hands to eat. We like to take fruit snacks, mini muffins, prepared fruit, individual servings of cookies, and granola bars. Bonus item – Stay cold water bottles – The water bottles that keep water cold for hours, even in the hot sun, are amazing! We have several sizes, including two “Bubba” brand bottles for the kids.